Logan (with his new baseball glove from Burke) and Burke are playing catch with Daddy on this glorious Monday holiday. 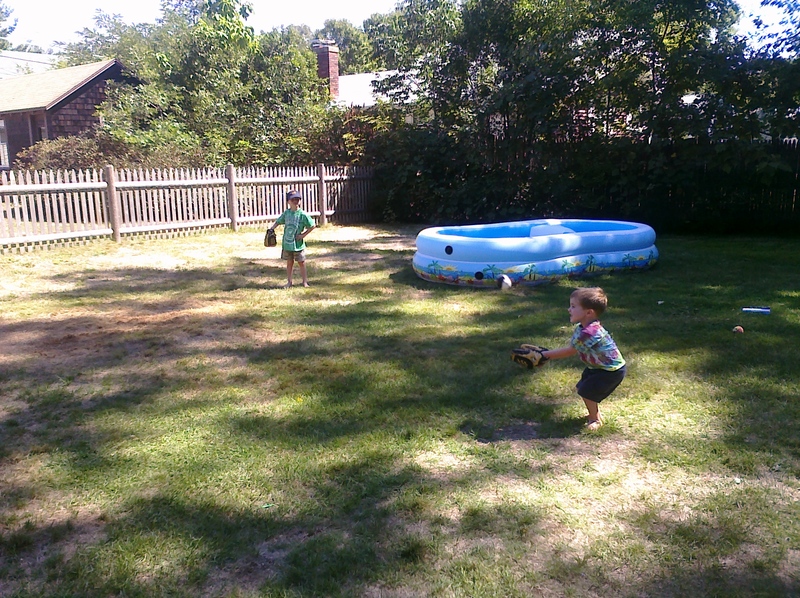 Back yard baseball Makes My Monday. Burke looks so grown up and Logan is adorable in his concentration on the game! Love it!